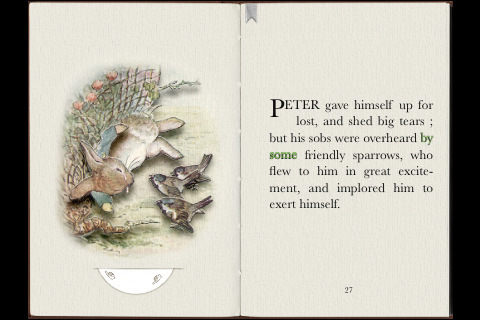 Right or wrong, many of today’s kids do most of their reading on electronic devices so this week I thought I would focus on a fun and unique eBooks from Loud Crow, The Pop-Out Tale of Peter Rabbit , that helps families relive a children’s classic tale in a very modern way. ENJOY! As each page comes into view there are tabs to be pulled, and wheels to be spun, just like in a “real” pop-out book. While we touched each little character, vegetable, leaf etc, sound effects of birds, bees,a breeze, and even a bonfire are playing in the background. The big highlight for us were the pages that had the “pop-out” elements. Autumn leaves come trickling down. When you touch them they become these beautiful enlarged leaves floating down to the bottom of the page. One can choose to read the book silently or listen. For young readers they have a read along choice which highlights the words as the narrator reads aloud. There is also a touch word feature. As a child reads silently along, if they don’t know how a word is pronounced they can touch the word and it is spoken for them. 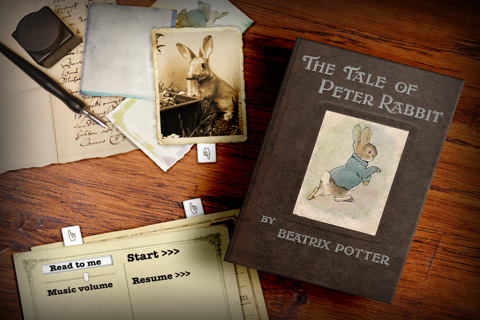 After spending an evening with the Pop Out version of Peter Rabbit I can say we were completely enchanted. We didn’t feel it was gimicky or invasive but an authentic experience which left the feeling that we had taken a gentle journey in Mr. McGreggor’s garden and met a little rabbit named Peter. We were completely captivated. The kids and I highly recommend this book and wish you many enjoyable moments. For the record, I purchased this app myself and shared it with my family. All of today’s photos come from the Loud Crow website. Group games for kids are awesome for inspiring teamwork and creativity, all while promoting important developmental skills like balance, coordination, and motor control! Check out Rabbit Hole – one of our most popular group games at The Inspired Treehouse! 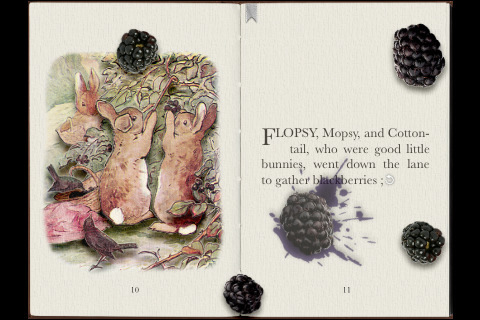 Peter and his friends loved to eat and squish blackberries…so let’s make some blackberry cobbler! Yum! If your family loves cooking and crafting inspired by a classic children’s book then you will love A Year in the Secret Garden!